Tom M. Mitchell is the Fredkin Professor of Learning and AI in the School of Computer Science at Carnegie Mellon University (CMU). He is best known for his theoretical and practical work in the areas of machine learning and data mining. Mitchell is author of the textbook Machine Learning (McGraw Hill, 1997), President of the American Association for Artificial Intelligence (AAAI), and a member of the National Research Council’s Computer Science and Telecommunications Board. In 1997 he founded CMU’s Center for Automated Learning and Discovery (CALD), an interdisciplinary group of 25 faculty focused on data mining research, which now boasts the country’s premier Masters degree program in data mining. He currently serves as Director of CALD. During 2000-2001 Mitchell took a leave of absence from the university to serve as Vice President and Chief Scientist at WhizBang! Labs, a commercial provider of software that extracts structured information from unstructured text. He continues to serve as Chief Scientific Advisor for WhizBang! now that he has returned to his university position. Mitchell’s hobbies include windsurfing, guitar, and programming computers. The jury has nominated Prof. Dr Tom Mitchell of Carnegie Mellon University (USA) for the Peter Debye prize 2001 for his outstanding scientific work in Artificial Intelligence and Machine Learning. Prof. Mitchell did his thesis (at Stanford University) on the Version Space method, which provided an important framework for research on learning, addressing issues of complexity of learning tasks, algorithmic problems, and the notion of learning bias. He pioneered the notion of explanation-based learning and in general the use of prior knowledge in inductive learning. He was the first to apply machine learning techniques in apprentice systems that learn by observing human performance. These systems are predecessors of current adaptive interactive systems. Prof. Mitchell pioneered applications of Machine Learning in robotics, bridging the gap between neural nets and (symbolic) machine learning. He currently works on the use of Machine Learning for information extraction and its application to the world-wide web. He wrote an excellent textbook on Machine Learning that is currently the most used academic textbook on Machine Learning in the world, thereby defining the field (T.M. Mitchell: Machine Learning , McGraw Hill, 1997). 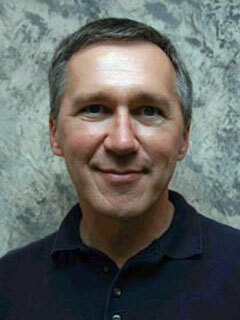 Prof. Mitchell has written many scientific papers and has been invited speaker at many occasions. He is founder and director of the Center for Automated Learning and Discovery, School of Computer Science, Carnegie Mellon University. He is also current chairman of the American Association for Artificial Intelligence. In summary, Prof. Tom Mitchell is an excellent and well respected scientist, who has made many innovative contributions to the field of Artificial Intelligence, Knowledge Engineering and Machine Learning.